6.0GHz RF Over Fiber Transmitter & Receiver. Ask For a Demo. 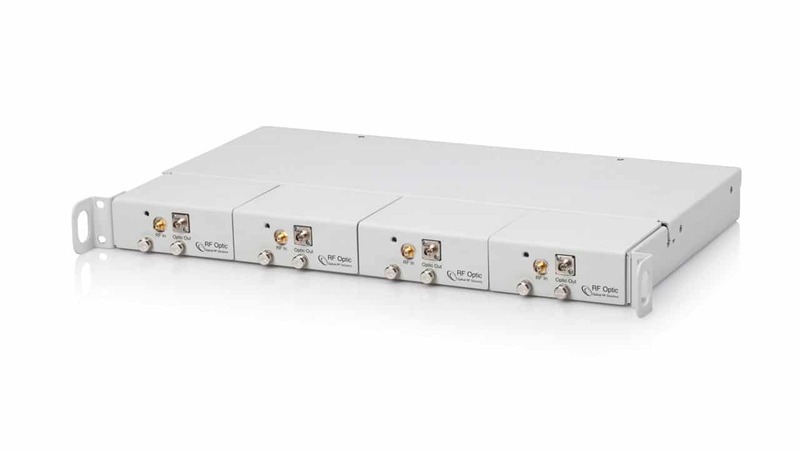 RFOptic’s palm size analog RFoF modules support up to 6.0 GHz to convert RF signals to optical signals to carry over long distances. The Tx unit uses an optical transmitter to convert RF to optical signal. The Rx unit converts it back to RF signal. The two units are connected through the customer’s single mode fiber. Supports up to 0.5 MGz – 6.0 GHz. Internal micro-controller and optical control enabled by software. Gain variation S21(fo) of ±1 dB for 90 °C variation, using special algorithms. Impedances of 50 Ohm and 75 Ohm.